NEW HAVEN, Mo. 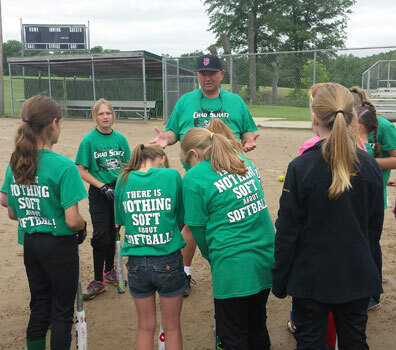 - On Saturday and Sunday (May 30 & May 31) the New Haven Youth League held their 1st Annual Softball Camp hosted on by Chad Schatz. 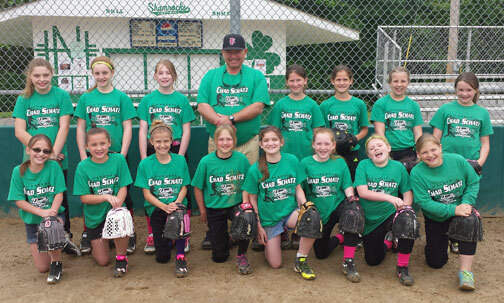 Schatz, a native of Sullivan, Mo, is the Assistant Softball Coach for Missouri S & T in Rolla, Mo. The camp was available for girls in the Petite 2 and Chic divisions. Due to rain on Saturday the camp was moved indoors to Memorial Baptist Church. The Youth League would like to say Thank You to the Memorial Baptist Church for their generosity and use of their gym, preventing the camp from being canceled. This is the second year that Schatz has put on a camp. Last year Schatz hosted a pitching clinic for the New Haven Youth League players. 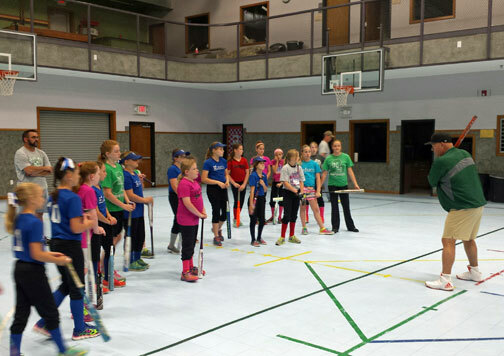 The two day camp focused on basic drills and skills on hitting, fielding, throwing and pitching.